Lauren Bacall’s total net worth is estimated to be $50 million. Known for her sultry eyes and husky voice, she has acted in a lot of movies and television shows over a long career. She first performed on Broadway in 1942. One year after her Broadway debut, socialite Nancy, and the famous producer of Hollywood, Howard Hawkes, found her. She was taken to Hollywood where she was groomed into a starlet. She got the start that she needed from appearing in the movie, “To Have and Have Not”. Lauren was already all set to become a celebrity. Lauren performed in several movies during the latter half of the 1940s and the 1950s that became big successes. She did, “How to Marry a Millionaire”, “Young Man with a Horn” and “Dark Passage”. In 1996, Lauren received an Oscar nomination Oscar for the performance she delivered in the movie, “The Mirror Has Two Faces”. She has also performed on stage several times through the 1970s and the 1980s. She has won Tony awards for the work delivered in “Woman of the Year” and “Applause”. Lauren Bacall received the Honorary Academy Award, something that she deserved in 2009. On May 21st, 1945, Bacall got married to the actor Humphrey Bogart. The wedding, as well as the honeymoon, was at the Malabar Farm, Lucas, Ohio. This was the home of Louis Bromfield, the author who has the Pulitzer award. He was Bogart’s friend, and a close one too. 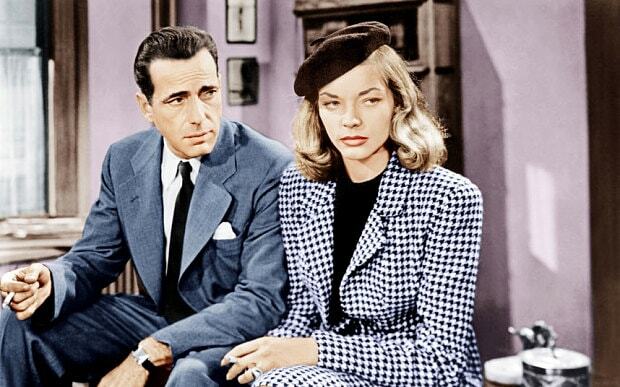 Bacall had something going with the actor and singer Frank Sinatra after the death of her husband Bogart. Bacall got married to Jason Robards, Jr., who interestingly resembled Bogart. The couple remained married between 1961 and 1969. She has divorced Robards primarily due to his addiction to alcohol. The below financial data is gathered and compiled by TheRichest analysts team to give you a better understanding of Lauren Bacall Net Worth by breaking down the most relevant financial events such as yearly salaries, contracts, earn outs, endorsements, stock ownership and much more.